I dedicated a new website to classic monochrome panoramas. 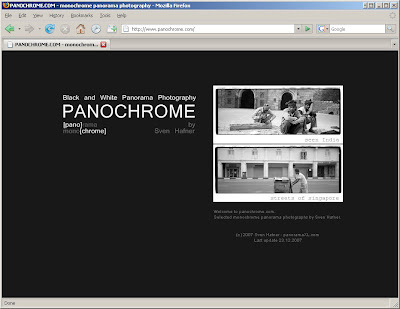 Finally, after hovering on several months beta, it went online with 2 basic galleries. When times allow I will add more selected panoramas there. Christmas is always a time of work out some hangover stuff, ain't ? Now heading to Malaysia, I bring nothing but the xpan and 4 rolls of film ! Happy Holiday to all of my readers ! The film is as you bought it lying in your drawer for the last x years while you always thought "I should use this one next time I go out". The next time happens and you think "hmm, if this film doesnt work anymore... maybe keep it for some experiments" (which never gonna happen). The problem, this expired stock grows if you were to greedy while buying stock last time ! This effect happened always to my grandma or auntie which kept the film in her point-and-shoot camera from Christmas to Easter and the 60th birthday of uncle Jim 3 years later. But it happens to me because I have this collection of cameras (and I only collect camera that I can use). Luckily I have a little brown notebook where I take note of all films, date and locations. Close to the end of 2007 now, I do some inventory and found 5 film in various cameras. Think gonna go out today, if it ever stops to rain, and shoot them ! Ain't ? Time for presents and toys. 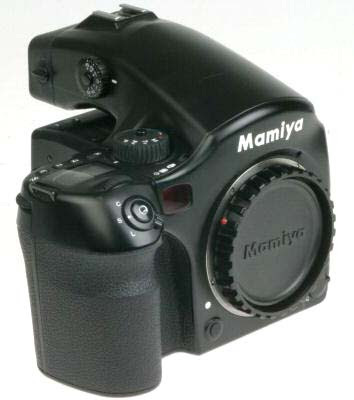 After 2 weeks moving with house and office I indulge myself with a new toy: This lovely Mamiya AFD and a couple of lenses (55,80,120,150). Oh I love it ! Lucky I still have big stocks of film in the fridge. Now waiting for the rain to stop ! Early next year will start hunting the ZD back, maybe for easter ;-) Isn't ebay a wonderful thing ? Based in Singapore for 5 years I lost wintertime and even seasons. Yes, I miss the cold time of the year with occasionally snow and short battery runtime in the camera, condensing lenses coming back to the house and all the stuff. I dont miss ice on the roads, getting dark at 5pm. This Noblex shots are a couple of years old, but they accompany me in this romantic moment.